Hello Mr/Mrs. President, I would like to bring to your attention an issue of great importance to me. 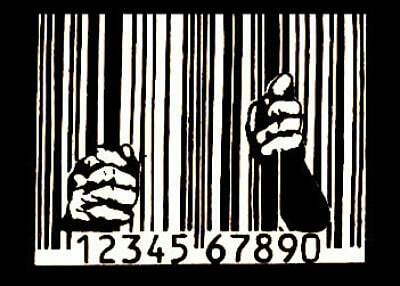 The people in this country including myself have dealt with oppression from large corporations for the longest of time, and when it comes to corporations, private prisons are no exception. I have known several people that have been imprisoned as immigrants and have been sent to these private facilities. These private prisons like the Corrections Corporation of America have taken over and have made for-profit industries in an area which should not be privatized in the first place. These prisons are costly for us Americans, they force us taxpayers to pay for “low-crime taxes” which are completely unwarranted to me. Why is it that these private industries have the right to take our money for each and every empty bed in their prisons? Why is that we must comply to the quotas set forth by their lawyers and lobbyists? It is completely unjustified that we must pay for something that guarantees only profit for these corporations. It is completely necessary for these prisons to be shut down or have the government be in control instead. As it is outrageous that these private prisons must be completely filled to avoid any form of taxation but it isn’t solely money that presents a problem with these private prisons, as they also are hiding inmate records and other valuable information from the public. These records make it easier to access the inmates in the prison and the fact that it’s being detained by the CCA is ridiculous. So I ask that as president you will do something about these private prisons, I strongly encourage that you urge Congress to pass some sort of legislation that will limit the power of these private prisons or remove them altogether. It is something very important to me as I do not feel that my taxes are being allocated to the right areas. 2nextprez, Henry Galdamez, Why Private Prisons must be dealt with by Henry is licensed under a Creative Commons Attribution-ShareAlike 4.0 International License.